David is the Owner and Head Coach of OPEX Santa Barbara. He has an extensive background in business coupled with a drive and passion for fitness. This fueled his aspirations to open a world class training facility, where the client, not a methodology, dictated the design of the fitness program. He is a certified OPEX CCP Level 1 Coach (NASM accredited) and a certified USAW Sports Performance Coach. He has been in the health and fitness industry for over a decade as a coach and business owner. David has taken an active role in his health since 2005 when his fitness journey began doing bootcamps. As he evolved, he was transfixed, as many others have been, into being a CrossFit trainer. Realizing, after a few years, the lack of sustainability within this style of training, he was determined to find a better way to train and to coach. 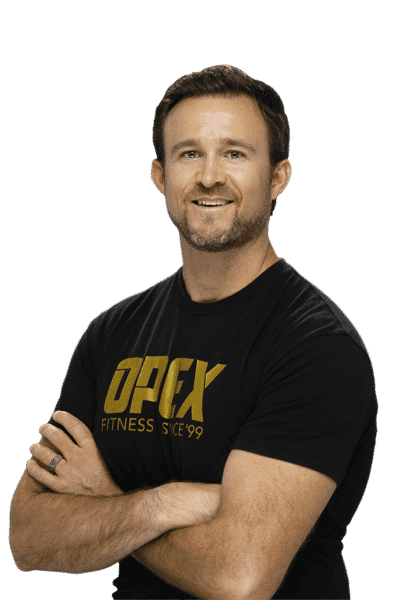 OPEX Fitness, founded by James Fitzgerald, created an opportunity to learn the how's and why's behind program design, nutrition, assessment and what it meant to truly become a professional coach.Through that learning, OPEX Santa Barbara was born to help people create longevity in their lives with whatever THEY wanted to accomplish. He continues to this day to be coached by his mentor, OPEX HQ Head Coach, Michael Bann. Together they continue to refine and adjust his training to ensure that with his busy lifestyle, he is still able to make progress. David takes this same approach to each and every one of his clients. David believes in using a combination of movement, nutrition and lifestyle management, to live a pain free and active lifestyle. He intelligently designs fitness programs based on your individual needs and health conditions. For him, fitness is more than just working out, it bleeds into all aspects of living, bringing a sense accomplishment, determination and desire to live a larger life. Setting goals and using the medium of fitness to increase and maintain a high quality of life for his clients drives his passion as a professional coach and mentor. David's mission is clear, to deliver his clients the highest quality results, through professional coaching, education and commitment to treating each client as the unique individual that they are.